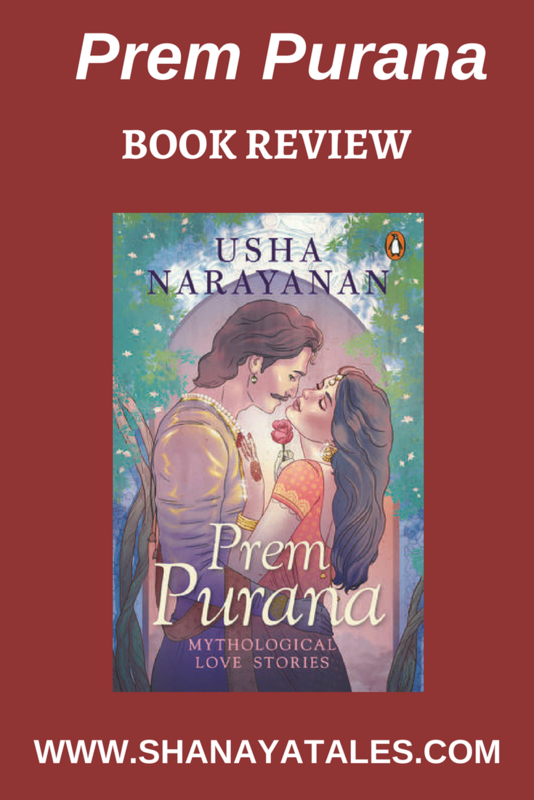 I love to read this genre of historical fiction (which some may call mythology – which I don’t agree with; long story for another day), but it’s been a long time since I actually read any book in this genre, and so when Prem Purana by Usha Narayanan was offered for review, I just had to take it up. Especially because I had already read the author’s work in the past, and knew that with her books I could always count on good writing, vivid descriptions that stayed true to the period the story was set in, and a great narrative voice. So it wasn’t that much of a gamble for me, plus I get to read a genre I love after a long break; win-win! 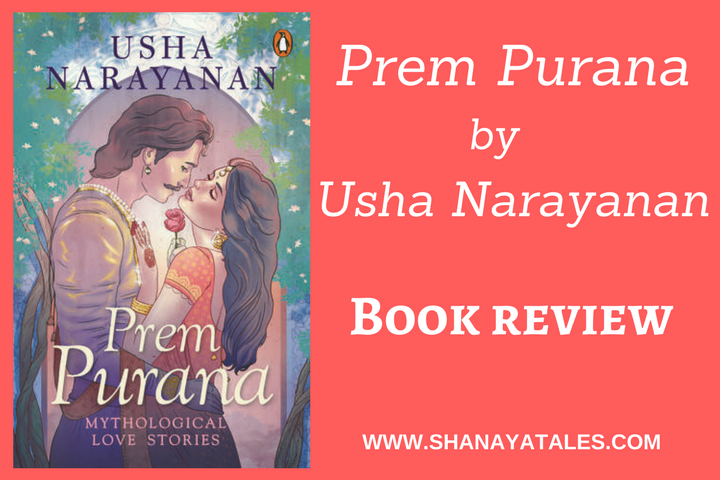 Coming to my thoughts on this book – Prem Purana by Usha Narayanan is a collection of 3 short stories, the first story revolves around a much loved God – Ganesha (and his brides), the second one is the story of the widely feared demon king – Ravana (and Mandodari), and the third tale is of a well known mortal king – Nala (and Damayanti). All 3 of these stories made for interesting reads, as they were informative while being entertaining. Now of-course, since I read a lot in the genre, I was already aware of many of these stories, so there was some amount of repetition (for me), but for someone relatively new to the genre, this will be an absolute treasure. Having said that, there were many things I found out after reading this book. For one, I had no idea that Ganesha had 3 wives and not 2. For some reason I always assumed that Riddhi, Siddhi were Ganesha’s 2 wives, and was completely clueless about Buddhi. Though let me tell you, this small surprise was completely inconsequential compared to the shocker that waited for me in Ravana & Mandodari’s story. I used to think that I knew Ramayana and Mahabharata backwards & forwards, but there was one big reveal in Story #2, which totally blew my mind! I don’t know how I missed something that big, I just have no words, cause I’m still in shock. All in All, this was a wonderful read, which stayed true to its promise, and delivered not one, but three wonderful, yet dramatically different love stories, right from the charming tale of Ganesha wooing his three brides, to the story of passionate, desperate love of Nala & Damayanti, and finally my favorite of the lot – Ravana & Mandodari’s love story, which had several shades of darkness, but was still capable of evoking strong feelings. And for this I have to applaud the author’s expertise, because even though Ravana had absolutely no redeeming quality, and made terrible choices all the time, the way the author has narrated the story, the reader could simply not help rooting for the couple & their love till the very last moment (and this is inspite of knowing how it was going to end!). Final verdict: Highly recommend to everyone who loves this genre (or not). Read this book. That’s all from my end for now. I would love to hear from you. Have you read this book? Anything else in the genre? Which are some of your favorite books? In this genre, one of my all time favorites has to be The Palace of Illusions by Chitra Banerjee Divakaruni. Disclaimer: I received a review copy of this book via TBC Blog Tours, however the opinions, as always, are completely mine. I have seen this book doing rounds in many Instagram stories… I like the genre. And the stories too are known but a retelling is always a joy to read.. I have been long intrigued by the love story of Ravana and Mandodari. I love this genre but haven’t read any mythology in a long time. You really got me curious at story 2. Now I badly want to find out happened in there 😊 excellent review of the book. Thank you so much, Raj. Yes, there was a total shocker in Ravana & Mandodari’s story. If you ever read it, I’d be curious to know if you already knew about it. I personally was completely clueless, but now that I read it, it kinda makes sense. Still reading and loving the book. Loved your thoughts on the book. Usha is good, no doubt. Yes, definitely. And mythology/historical fiction seem to be her stronghold. While I do love mythology/historical fiction I don’t have the nerve to go ahead and pick up Indian authors as yet. I know that some of them are good, but the ones that are not are a plenty. Plus, I haven’t read good reviews about the writing of this particular author. Oh really? I feel she handles this genre pretty well. Though I understand why you are wary – there are far too many Indian authors who are just churning out poorly edited rambles in the name of books. But in my experience, at-least with Usha, that is not the case. Yes that was my favorite story among the 3 too. And what a shocking revelation it contained! I have loved Usha’s writing . She is simple in her narration and yet, can communicate in much depth and thats her style. Oh yes, I completely agree! And she handles this genre pretty well. I am always for historical stories especially ones that are weel written. And the praise coming from you for the writer and the book has got me intrigued. I will check this out soon. PS I also had been thinking Vinayaka had only 2 wives but they were Siddhi and Buddhi and I never knew the Riddhi part. Maybe it is due to the regional / language difference between us. Huh..that is interesting. Yes, I think it is because of regional influences. But I guess the many variations are to be expected in a culturally rich & diverse country like India. Okay so I know those stories and wasn’t really intrigued, but now I am and so the TBR list grows. If and when you do check this out, I’d be curious to know if you were aware of the shocker that lies in Ravana & Mandodari’s story.